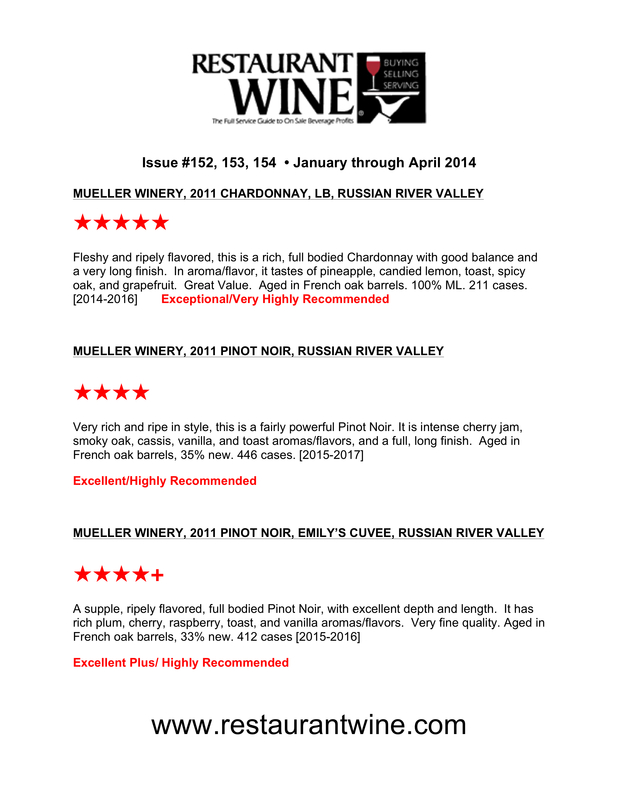 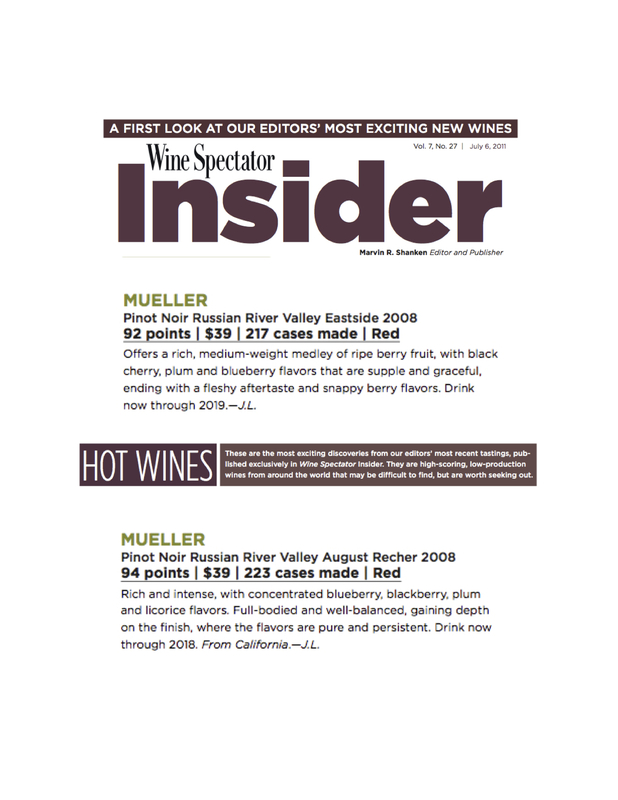 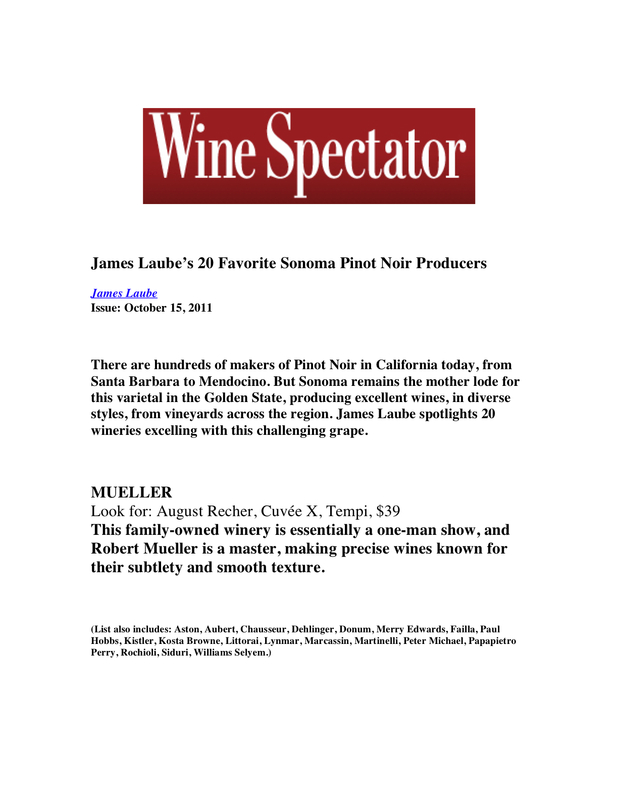 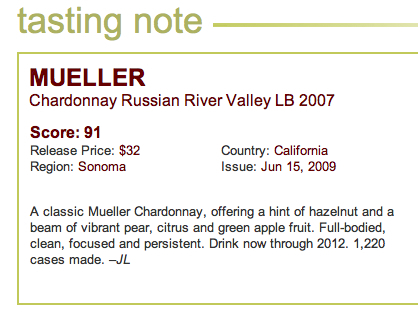 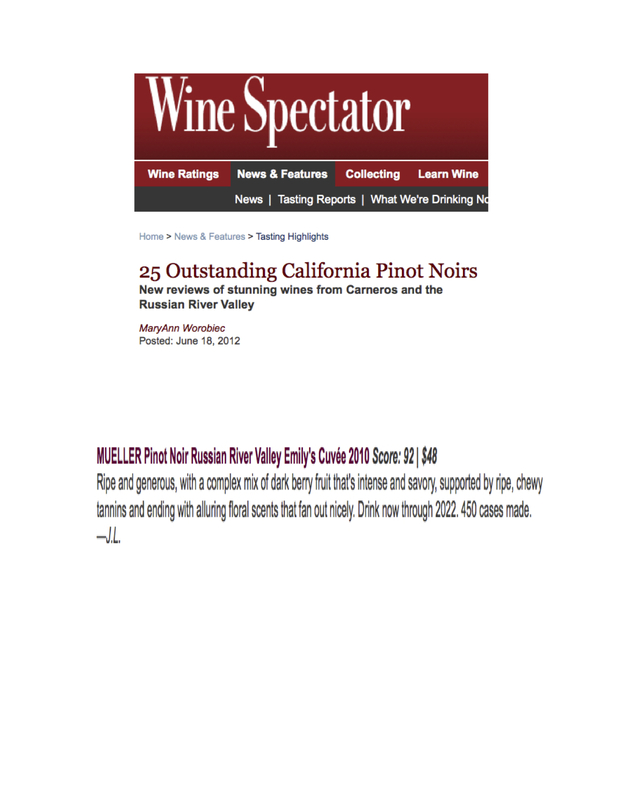 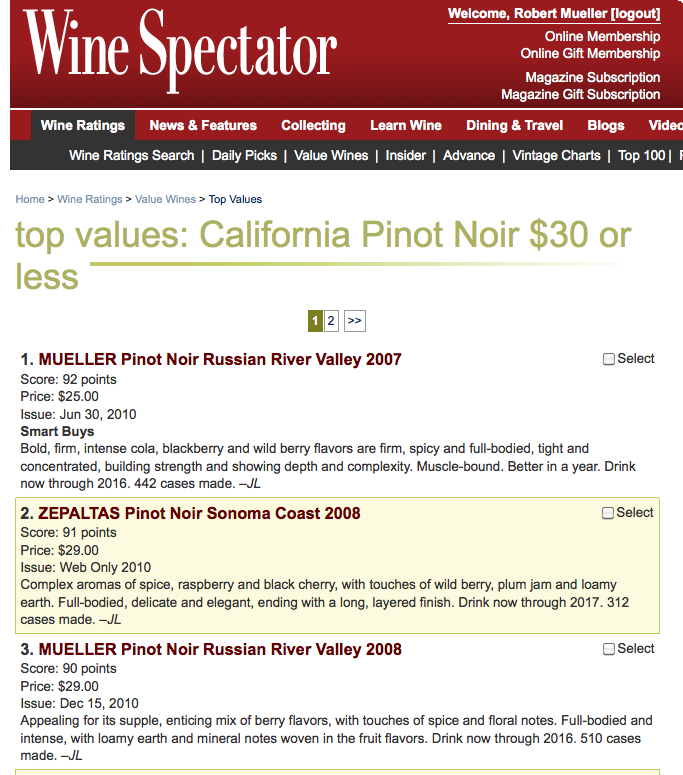 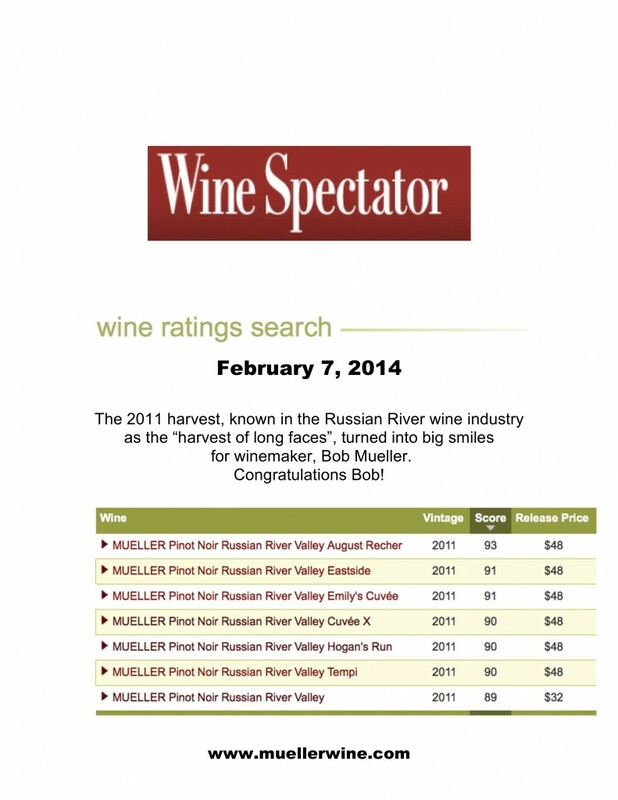 Mueller, 2007 Russian River Valley Old Vine Zinfandel, 15.9 percent, $29. 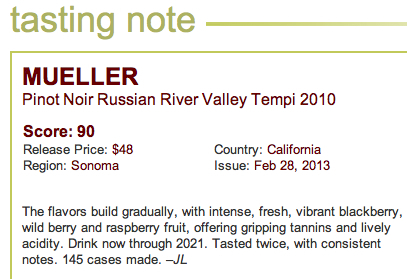 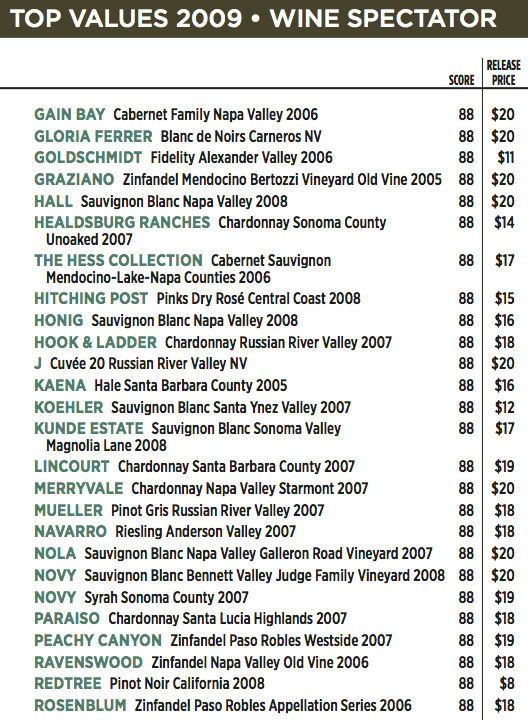 A big, ripe zin with notes of blueberry, plum, anise, mineral, roasted coffee, vanilla and spice. floral scents of wilted rose petal. 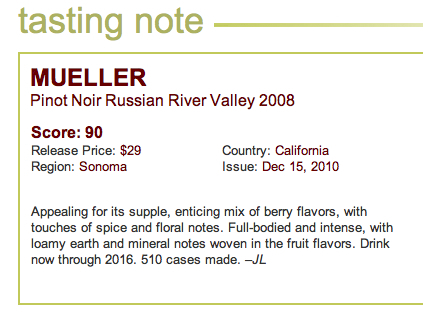 Drink now through 2016.—J.L.